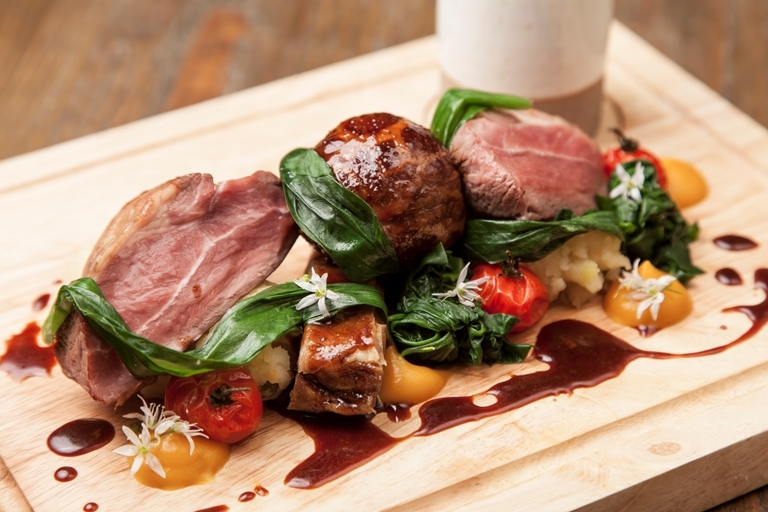 This hearty main course from Matt Weedon showcases various cuts of lamb in his version of a mixed grill, with lamb belly, lamb rump and lamb faggots topped with a beautiful rosemary and lamb gravy. To complement the rich meat, the chef finishes the dish with a garlic and rosemary mashed potato and a delicately spiced carrot purée. Remember to begin preparations well in advance as the lamb belly requires four hours of cooking and 24 hours of pressing before serving.